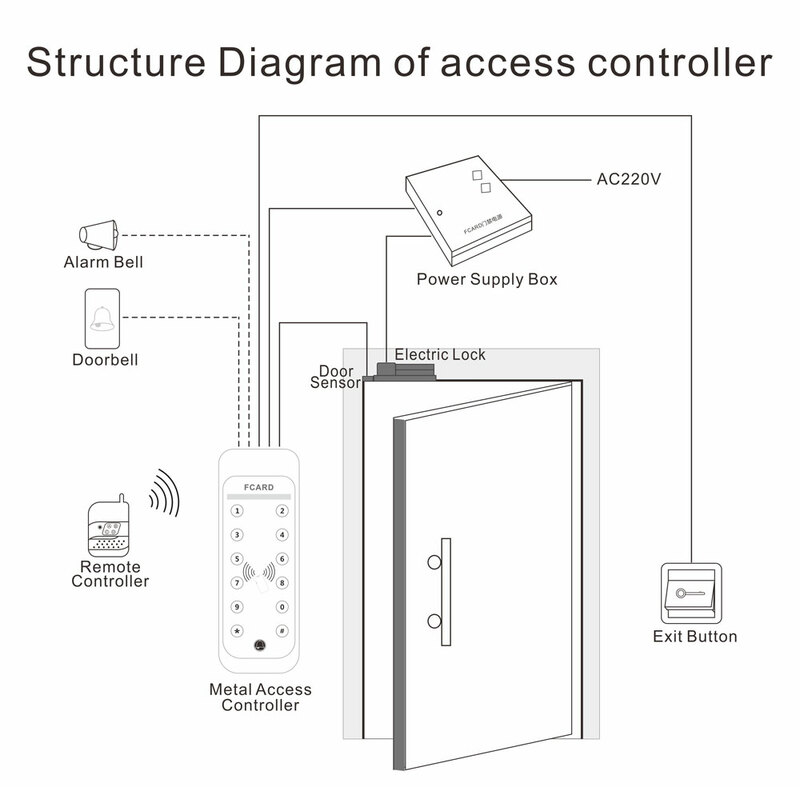 FC-391E/M metal access controller is designed for electric lock and security system, special metal shell, flexible keyboard, built-in high-end microprocessor, anti-interference ability, safety and reliability are very high with the function of self-diagnosis and self protection. 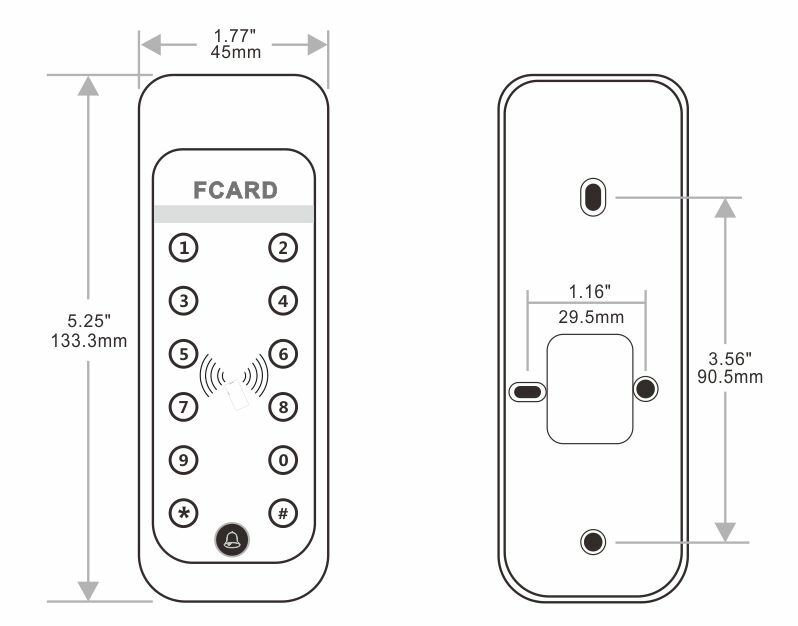 FC-391E/M metal access controller supports to unlock by card (including EM card, EM compatible card, EM format encryption card), password, card + password. It can set the programming on the keyboard, do not need computer, easy to operate. 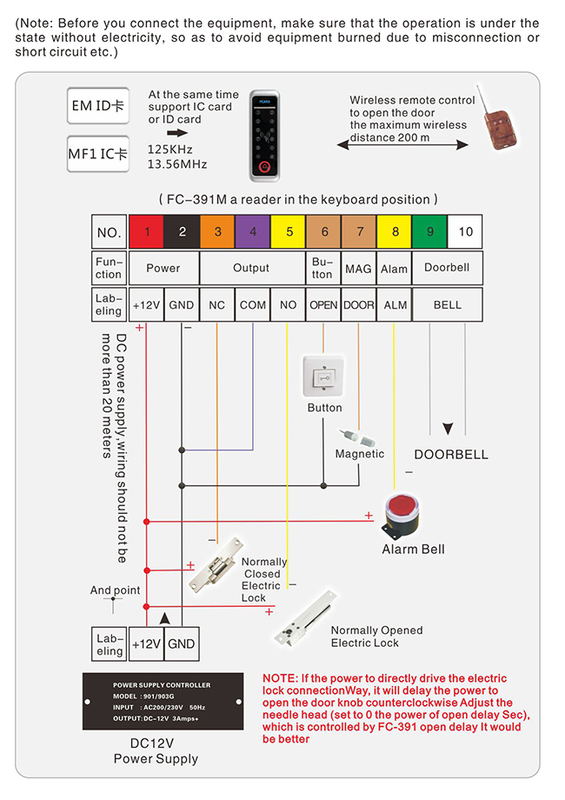 FC-391E/M metal access controller is designed for electric door locks and security systems, uses unique metal shell design, flexible keyboard operation, build in high-grade micro-processor and it has anti-interference ability, security and reliability are very high with function of self diagnosis and self-protection, supports to unlock by card (including EM card, EM compatible card, EM format encryption card), password, card + password. It can set the programming on the keyboard, do not need computer, easy to operate. Keyboard self-locking function, user can set the keyboard input error times and preset the keyboard self locking time to prevent others detect the password. Tamperalarm function, remove the equipment in the working status, it will alarm output and sound. It has superior interference function and self-protection function, to ensure the system working safely and efficiently. 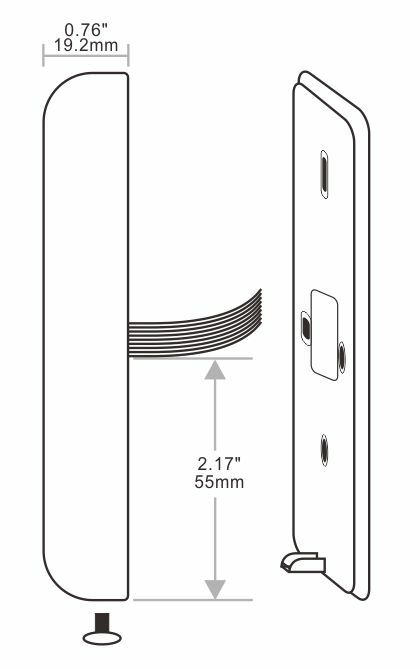 Data maximum can store 110 groups (including card data, password data, card + password data), it can be kept if power cut and the access controller also supports doorbell output. FC-391 metal access controller with powerful function, easy to install and it is suitable for offices, homes and public places. 1. FCARD: Power indicator, blue light.